A skillet is one of the most useful pieces of cookware you can have in your kitchen. Typically, these are flat-bottomed pans that are used for frying or searing food. They tend to be a little smaller in size, with most options ranging from 8 to 12 inches. 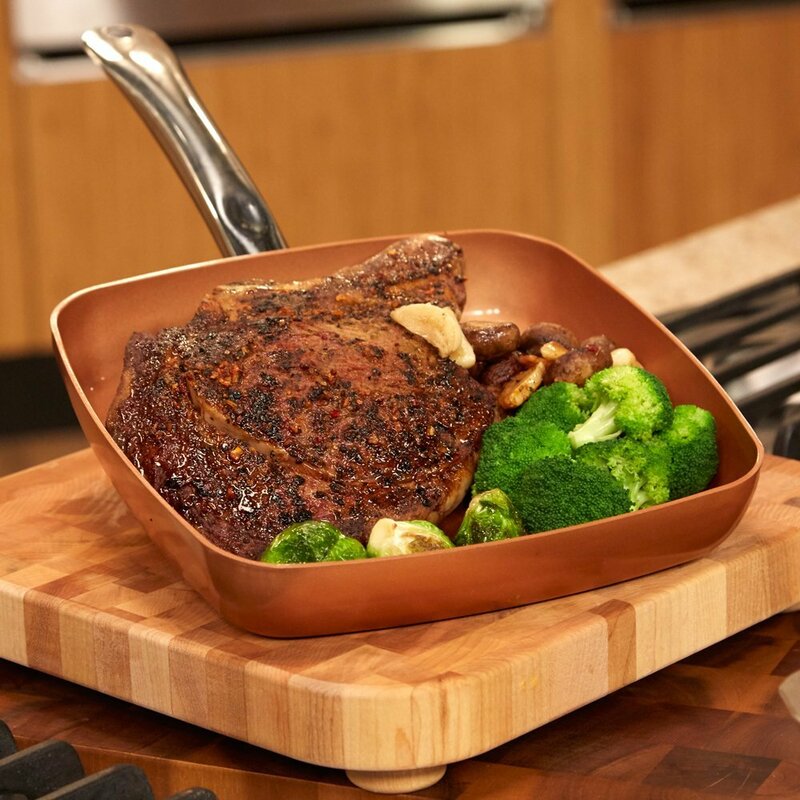 Copper has some unique properties that makes it the ideal choice for a skillet. With many different options on the market, consumers often have a hard time deciding which one is right for them. In this roundup, we'll be taking a look at the most popular options. We'll put them head to head, so you can see which one best suits your needs. After, we'll go in-depth and take a better look at each model. Before we get into the specifics, let's take a quick look at our three contenders. In Short: This 10-inch pan is one of the most popular contenders. 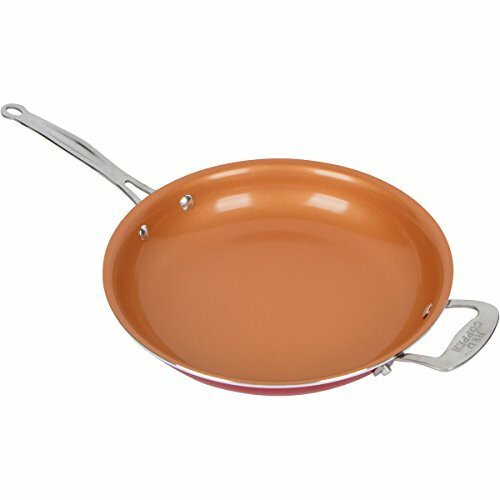 It's affordable, and features a copper-infused non-stick coating that performs significantly better than teflon in almost all of our tests. 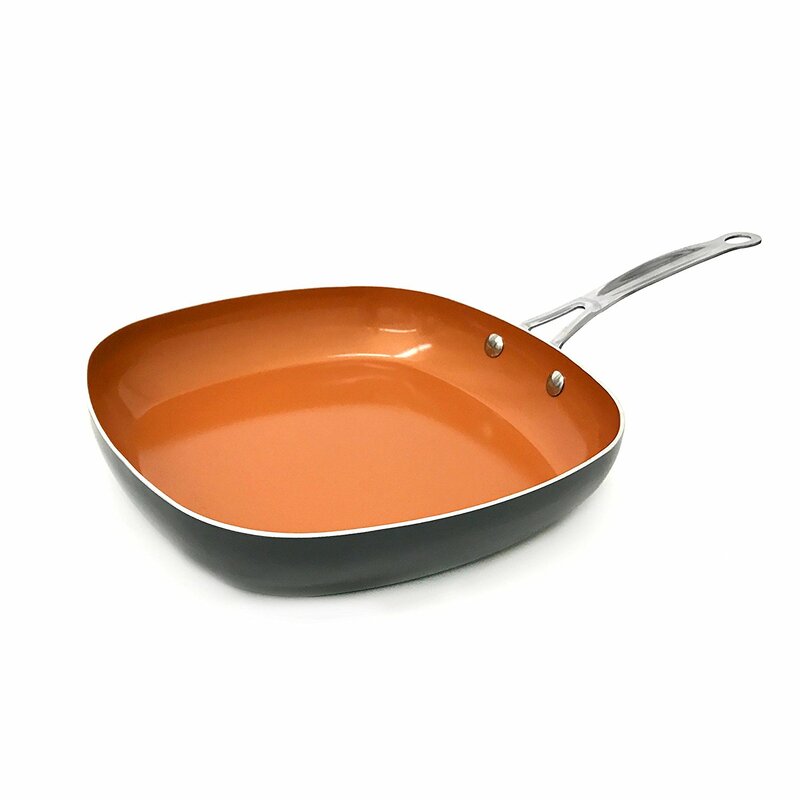 In Short: Lagostina offers this premium copper-base pan for the discerning chef. This material offers significantly better heat transmission than any other material on the market, and is durable enough to be passed down to your kids. In Short: This square pan offers a more spacious cooking surface than any round pan can provide. 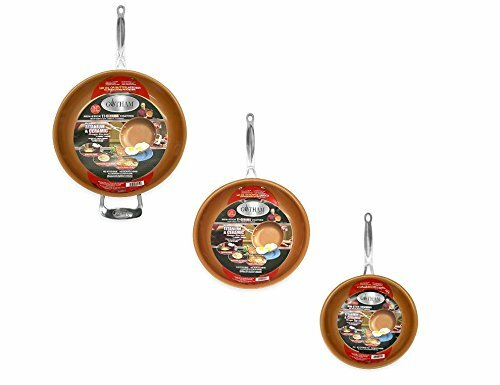 It features a very similar non-stick coating to the first model, making for a very quick and easy cleanup. No matter what your skill level in the kitchen, there are a few important features you should look for. We'll be grading each of these three skillets on a number of different categories. Searing food requires you to transfer a lot of heat to the surface of your food quickly. If heat is transferred slowly, the food will start to cook more evenly. If you're making a tuna or beef steak, this will result in your food being overcooked. With other types of meats - such as sausage or pork chops - searing the food seals the meat, helping to keep the juices inside. This means that you need a pan that heats up quickly, and releases a lot of this heat into your food at a high rate. Copper is an extremely good conductor of heat, which is one of the main reasons that consumers would prefer this over another material. 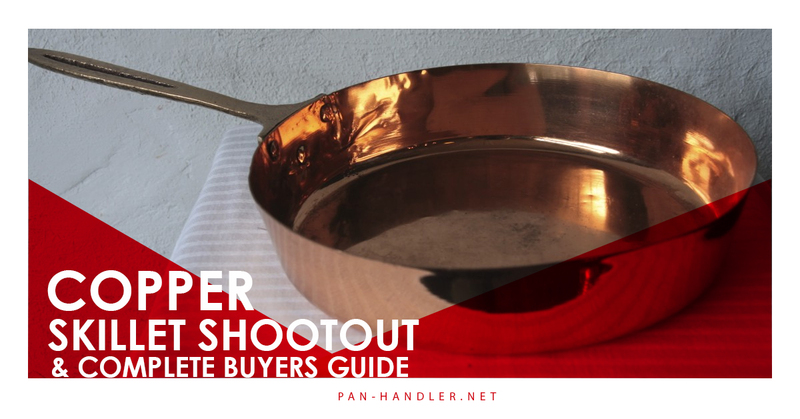 Many popular pans tend to hold heat for a long time. This means that even if you turn the temperature down, the cooking surface of your pan will remain at a much higher temperature. 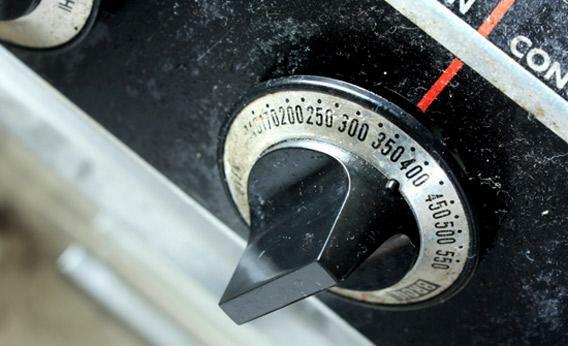 This reduces the amount of control that you have over your cooking temperature. What we're looking for is something that heats up at a high rate, but also cools down quickly as well. This should mean that when you turn the dial on your stove, it doesn't take long for the cooking temperature to match your set point. Trying to cram a bunch of food into a tiny pan is nothing but frustrating. On the other hand, using a skillet that is too big for your purposes means that you'll end up using more butter or oil. This metric is very subjective, so we aren't going to tell you that a skillet is good or bad just because of it's size. But what we will be doing is breaking down how it should be used, so you can understand if it's suitable for your kitchen habits. If you're going to spend your hard earned money on something, you'd better hope it will last a while. We'll be ranking these pans on how durable they are. This means two things. One, they need to stand up to the standard use and abuse they'll get in your kitchen. Two, they should last a reasonably long time, so you know you got your moneys worth. There are a number of things that can affect how easy a skillet is to use. Lightweight models are more agile, and easy to pick up and move around. Some skillets have a second handle so you can pick it up with two hands, while others have an ergonomic grip. There's another important factor that won't affect your cooking at all: how easy it is to clean. 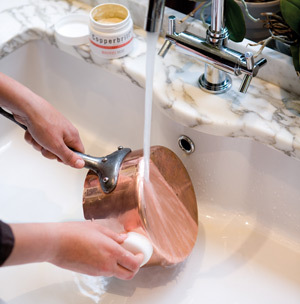 Many people choose copper pans because they require very little scrubbing, but this isn't true for all of them. So this is something we'll definitely need to investigate in more detail. This was one of the first compact copper skillets on the market, and remains one of the top choices. It's affordable, and very similar in design to the standard Teflon skillets you likely already own. If you've never used a copper pan before, get ready to be impressed. When used correctly, it's very difficult to get anything to stick to it. Even without using any oil, your food just slides right off after being prepared. This makes it extremely easy to clean up, and helps you make healthier food choices. Additionally, this is an oven safe skillet suitable for use in ovens up to 500 degrees. Unfortunately, the special coating used won't last forever. Typically, these skillets start to degrade after 3 years or so. But with it's ease of use and affordable price, this is a great choice for anyone who wants to step up their cooking game. Slightly larger than most skillets, but still nice and compact. Does tend to hold heat longer than competing options. Highly conductive, works great for searing meat. Very durable, but only if you follow the directions carefully. Instead of coating a ceramic pan with copper, Lagostina made the entire thing out of it! This type of cookware is what started the whole fad, and it has been used in France for hundreds of years. This is definitely a premium product, and you'll pay a lot more for it. But in exchange, you something that gives you precise control over how your meal is cooked, and a piece of cookware that can last generations. There is a reason that copper is used in high end cooling systems - it conducts heat VERY well. Because the Lagostina Martella is made from pure copper, heat is transferred almost instantly. It only takes 15 seconds on the burner before your ingredients start to sizzle. Because it's made from a pure metal, this pan is very stable. It will easily last you for 15 or more years, and you're not going to be able to scratch it with metal utensils. It's important to remember that this is NOT a non-stick pan. It does have a smooth surface, so it's easier to clean than a cast iron or aluminum pan. But you're going to want to use it the same way you would use any other solid metal skillet. Same size as a standard skillet, but a little heavier than you might be used to. No other material gives you precise, immediate control over your cooking temperature. Doesn't retain much heat, transferring it almost directly to your food. 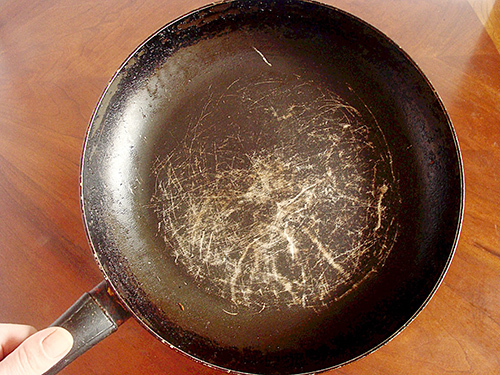 By far the most durable skillet we've ever reviewed. On par with cast iron pans, but can still withstand a drop. While the features and performance are very similar to red copper, the boxy shape allows you to store more food in a single pan. Typically, putting a square skillet on a round burner would be ineffective. You'll have a hot spot in the middle, and cool spots on the sides. But that isn't the case here. The copper coating - along with offering all of the same features as our first pan - allows heat to even out across the entire cooking surface. This allows you to cook more food, and cook it all evenly. If space is a problem for you, this is what we'd recommend. Unique, but might not be for everyone. Significant improvement over standard non-stick skillets. The pan heats very evenly, so there are no hot or cold spots. Can withstand a drop better than red-copper. Each of these products has their own unique benefits. We selected them because of their performance, but they aren't going to suit everyone's individual needs. To help make your decision a little easier, we've broken the choices down into a few simple categories. If you want the best of the best, get the Lagostina Martellata. This is one of the most impressive pieces of cookware we've ever used, and we'd consider it well worth the investment. You get exact control over the temperature, and extremely attractive design, and something that's so well made it can last generations. If you're a little more budget conscious, get one of the copper infused pans. 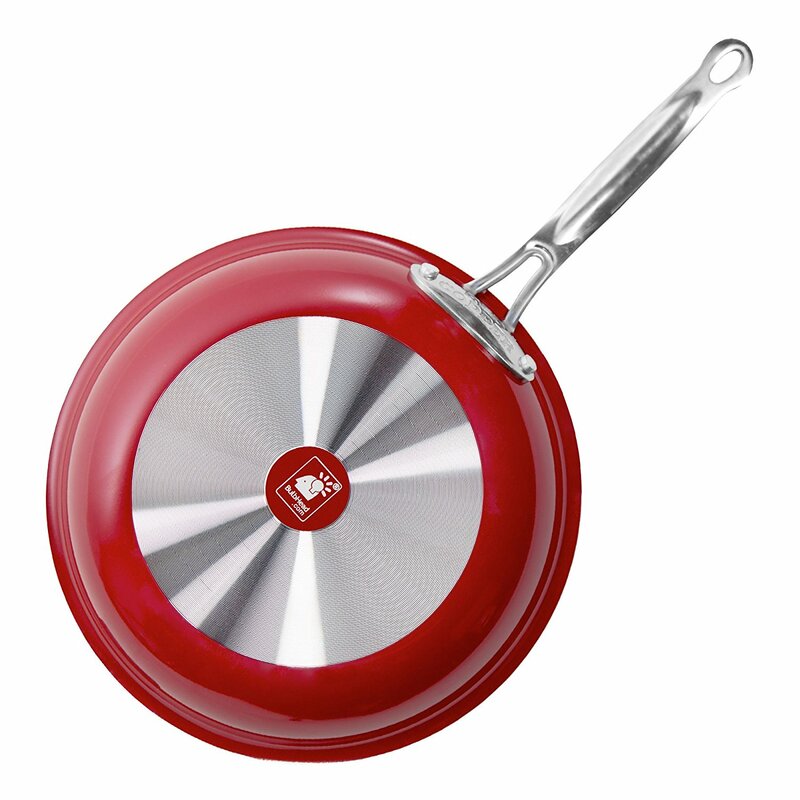 The Red Copper Skillet has been on the market for a while, and has plenty of positive reviews. It's the typical design for a non-stick model, so it will feel right at home in your kitchen. Alternately, the Gotham Steel Square Skillet gives you all the advantages of the red copper model, but it a much larger form factor better suited towards families that needs to cook more food at a time.